An electrified mesh is installed inside the device, which kills insects caught inside with 100% probability, so cleaning the container will be very simple and practical: you will no longer need to go out and look for a suitable place to release the collected living creatures. Charging indicator is too bright. The powerful 15-watt motor and amazingly high suction power make this model an ideal option for destroying large numbers of beetles, spiders and insects in order to quickly get rid of them and minimize the likelihood of their appearance later on. 30.25" x 6.25" x 6.25"
Thanks to the folding design, the device does not take up much space when there is no need for it. 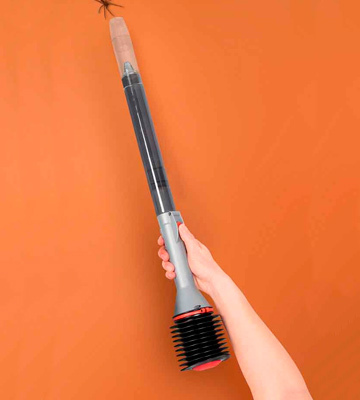 And with a fully extended nozzle, the length of the vacuum cleaner can reach about 24 inches, so that you can easily use it in hard-to-reach places. Insect container is a bit small. 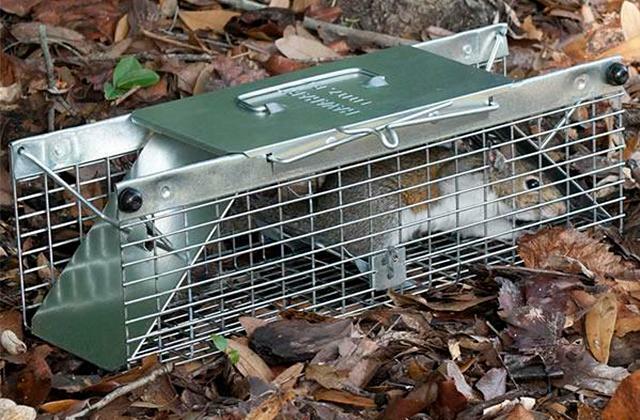 This trap does not require batteries or a network connection, and therefore is completely autonomous and can be used anywhere: in the house, in the yard or on vacation. The process of catching insects with it will be fun and exciting, especially for children. ~24" x 5" x 5"
The motor here is famous for its high wear resistance, so it will not fail throughout the life of the device. And the casing is made of durable and non-toxic plastic, so the operation of the vacuum cleaner is equally harmless to beetles and people. 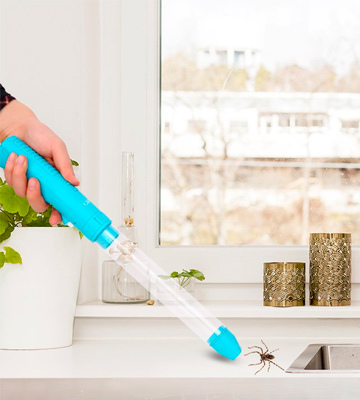 If you often encounter a situation when you need to quickly clean the room of beetles, spiders and other small insects, while there is no desire to kill them - this model is for you: with a relatively small suction force, it will not harm them, and therefore is quite humane for such a device. ~16" x 3" x 2"
The patented capture core container ensures the safe movement of creatures into the container without having to touch it - an important point from a security point of view, as it prevents the likelihood of bites or stings (especially important for bees). This set will be a good source of entertainment for children who wish not only to catch insects, but also to study them in detail. The habitat case can serve as a terrarium, where you can store the captured living creatures. Recommended for children over 6 years old. Gun: 12" x 5.7" x 2.6"
The included USB charging cable helps you quickly charge the built-in battery from the laptop, and the full cycle takes about 1.5-2 hours. And the built-in LED-lamp is famous for low power consumption, so its activation has almost no effect on the battery life. Power button is a bit stiff. Due to its small size and strikingly low weight, this mini-vacuum cleaner can be safely used anywhere: in residential premises, in the office, and in a car and many other places where the task is to get rid of annoying mosquitoes. In addition, the device is quite inexpensive. 16.2" x 1.9" x 1.9"
People have tried to come with many different ways to get rid of bugs that enter their home for many years. Some solutions have seemed to be more effective than others, but few have really been effective enough to make most people happy. 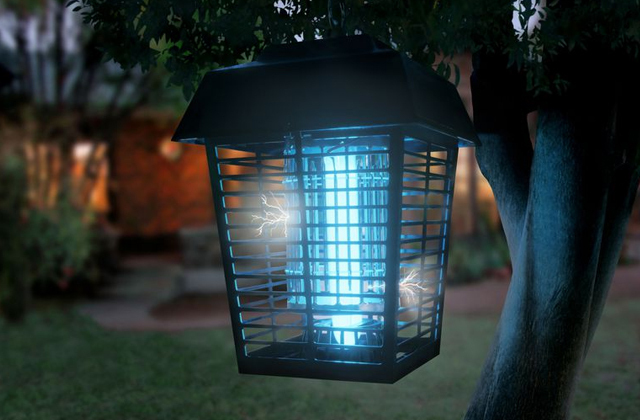 One of the more popular devices that had been used was a bug zapper, a device that attracts bugs with a light and then electrocutes them. Although they tend to kill many bugs, there always seem to be more running or flying around. And of course, there are plenty of bugs that they have little effect on as well, especially ones that don't fly. The Koolertron Hammacher Schlemmer Bug Vacuum is a great device for getting rid of bugs when all other methods have failed. This vacuum is actually quite large, but surprisingly light for its size, which means it is actually much easier to operate than it first appears. 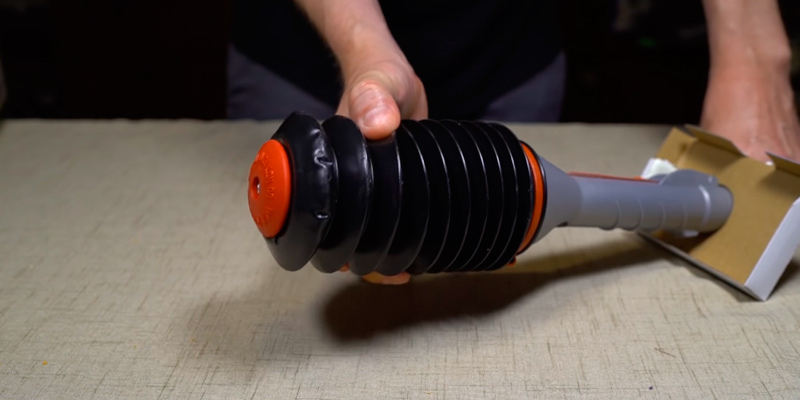 This handheld cordless vacuum is powered by a 15-watt motor that generates a large amount of airflow for sucking up whatever bugs with which it comes into contact, with it being measured at up to 4.78 times more airflow that many other competing vacuums. 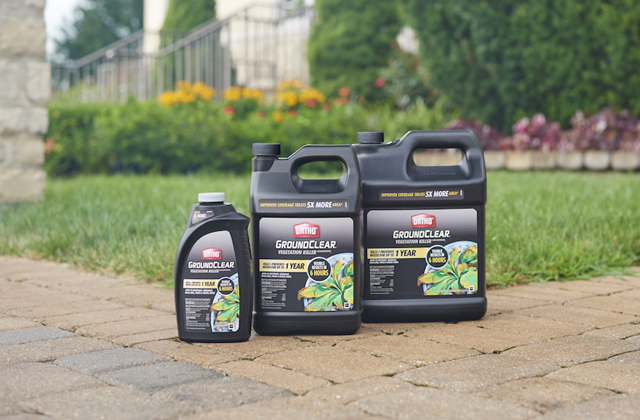 This helps make equally effective at capturing any type of insects, whether they be crawling or flying. This cordless bug vacuum comes with a telescoping tinted nozzle that lets you reach places where you would ordinarily be unable to reach, such as ceilings, or under and behind furniture. This spells doom for any insect that tries to run and hide from its suctioning power. 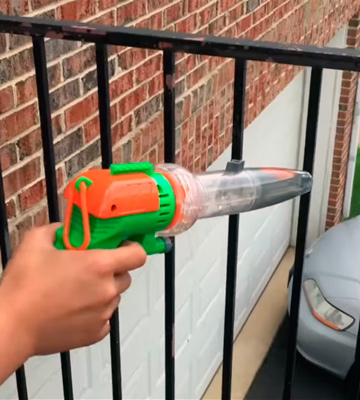 The suction cup tip of the nozzle also helps ensure that when you've cornered a bug, that it is completely covered so that the nozzle can capture it. Once bugs are captured, they are sucked into the tube, where they are then subjected to electrocution by an electrified mesh. Those who prefer to dispose bugs in a more humane manner, however, are allowed to release the bugs outside without electrocuting them. Whichever way you prefer, disposing of the bugs is as simple as removing the tube and dumping them out. Where this insect vacuum really shines in comparison to many other models, though, is in the speed with which you can use it to get rid of a large amount of bugs in a short time. Time tests conducted by the manufacturer showed that they are able to use this device to vacuum up to 24 live crickets in only 15 seconds, which shows just how effective this device can be. If you have a bug problem in your home and want a simple and safe way to get rid of those pesky pests, then this bug vacuum will certainly do the trick. The process of catching stray insects that have wandered into a home can be difficult for most anyone. While some bugs may be quite easy to catch and dispose of, others can make the process irritating and time consuming by refusing to be captured. This is especially true of any insect that either crawls really fast, such as spiders, or those that fly, including bees, wasps, or even harmless ones like gnats and flies. Finding a simple and quick solution to getting rid of these rowdy rascals has proven to be difficult over the years, but not anymore. The BugZooka WB100 Bug Catcher Vacuum is a device that gives you the means of getting rid of virtually any insect with ease. 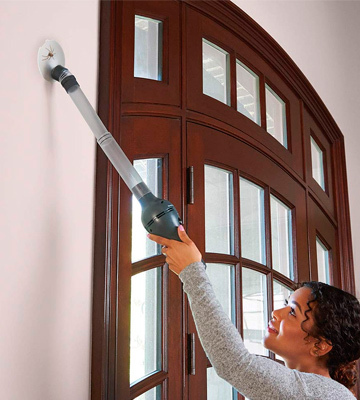 This bug vacuum features a thin, lightweight design that lets you safely catch and dispose of most insects without any hassle, letting you keep your distance while letting you reach in hard-to-reach areas. This is especially important for when you're trying to catch a poisonous spider, which often proves quite difficult for most people as they move very fast and will quickly find a small area to hide in. 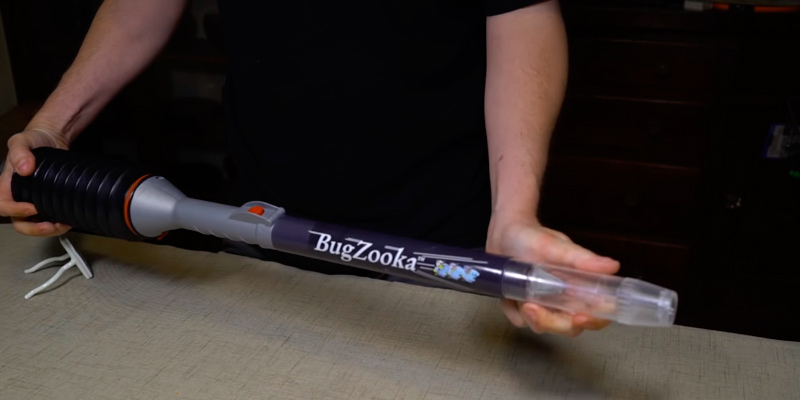 With the BugZooka, though, you now have a fighting chance to catch it quickly and safely without exposing yourself or loved ones to poisonous bites. One of the things that makes this bug sucker so effective is the unique patented design of the device, which creates up to ten times the suctioning power of most other bug vacuums. The device uses a manual accordian-style suctioning device, letting you use it without having to worry about wearing down batteries or having it tethered to a power cord, which lets you use it anywhere you want. The neck of the device is foldable, which lets you easily store it whenever it's not in use. The neck is extendable and lets you reach into high or other harder-to-reach areas to catch bugs that try to hide from its reach. 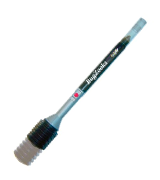 Once a bug is caught, it is instantly sucked into a removable catch tube with the simple press of a button. 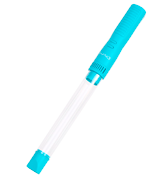 This tube can then be easily removed, letting you dispose of the bug wherever you wish. 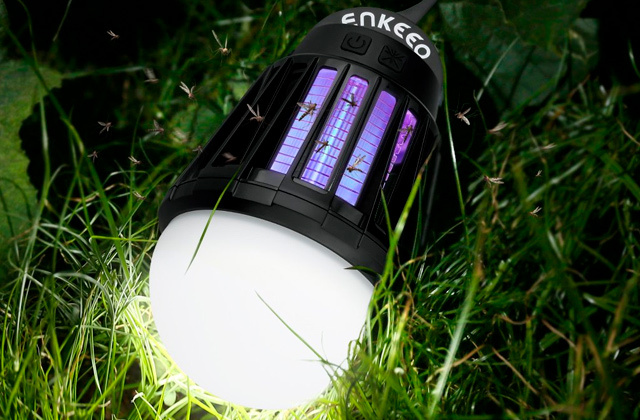 Since this is not an electric-operated device, there is no electric mesh or other powered means of killing the insects once caught, which makes this device ideal for those who want to treat insects humanely. 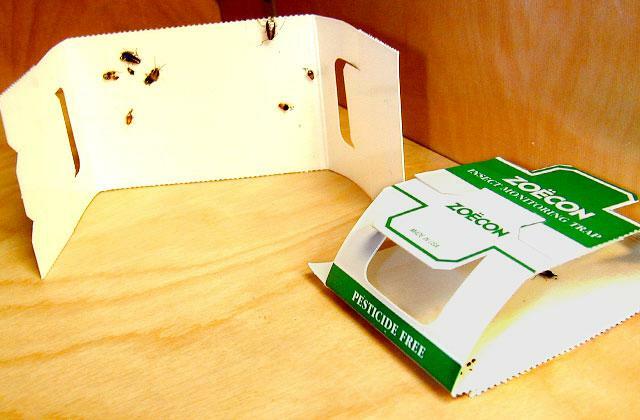 This especially makes it ideal for insects that make a huge mess or an awful smell when killed, such as stink bugs. No matter which type of insects you need to get rid of, the BugZooka bug vacuum will prove to be your best friend. Most pest control methods that are available nowadays tend to focus on killing insects. 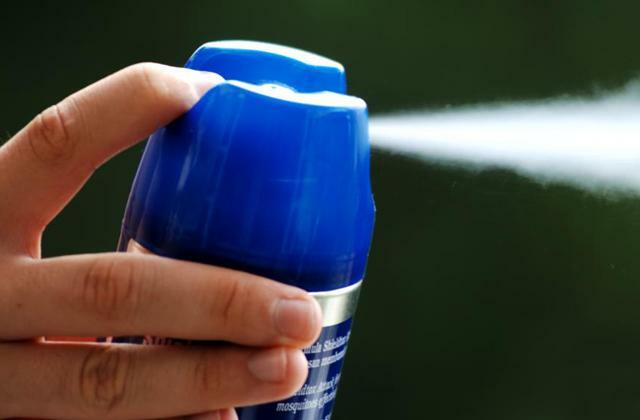 Whether it be bug spray, pesticides, or even a simple fly swatter, all of these methods are geared towards killing these natural residents of your area. While that may be fine for a lot of people, there are plenty of others who prefer much more humane ways of dealing with insects in the home. Some people are just naturally inclined to be gentle towards other living creatures, and such people prefer to just catch and release whatever unwelcomed visitors they find in their home. The Sonic Technology BugBuster Bug Vacuum is a device made for people who prefer to live and let live. 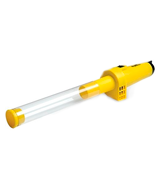 This bug catcher is a simple yet effective device, using suctioning power to catch insects without causing harm to them. This bug vacuum is powered by a motor that is famous for its high wear resistance, so it will not fail throughout the life of the device. Along with its durable motor, the casing is made of durable and non-toxic plastic, so the operation of the vacuum cleaner is equally harmless to both insects and humans, thanks to this as well as the gentle suction power that the motor generates. There simply aren't any more humane options out there for catching and releasing insects from the home. This handheld device is quite simple to operate. 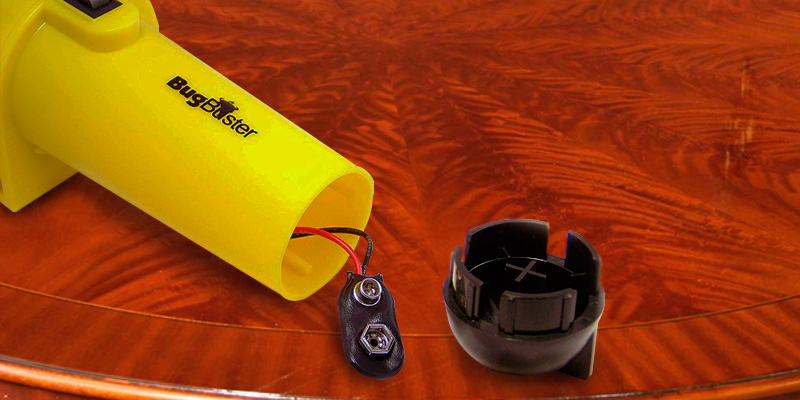 It is powered by a 9V battery (not included), which means you can easily operate it anywhere without having it tied down to the nearest power outlet. Just press a button, and the motor starts the gentle suctioning action. 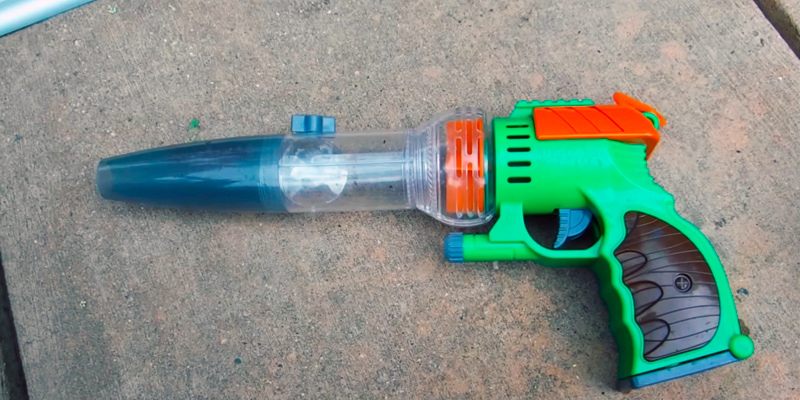 Wherever you find an insect, just move the tip of the nozzle near to the insect, and it should get sucked right into the tube, where it is safely stored for release later. Despite its ease of use, there are a couple of drawbacks. First and foremost, the gentle suctioning power, while made so to be safe to insects that are caught, makes this device unsuitable for some larger insects. Also, the operation of the motor is fairly loud, although this shouldn't be much of an issue if you are operating it for only a short amount of time. Outside of these minor drawbacks, this bug vacuum has proven to be quite effective at capturing smaller and lighter insects. In fact, its humane nature means that it can be used not just for bug disposal, but also as a method for children to catch and collect insects for further study. What's more, the device is quite small and lightweight, which means it can be easily used by people of all ages. 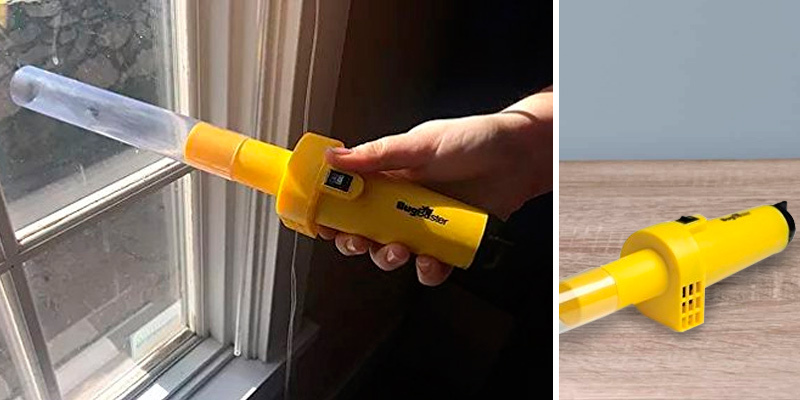 If you're looking for a safe and humane way to capture insects inside or outside of the home, this portable bug vacuum will prove to be an excellent choice. Not every means of catching bugs needs to be for removing them from your home. In fact, there are plenty of other reasons why someone might want to catch insects. Some people are just fascinated with certain insects and want to study them up close without having to spend a large amount of time outdoors, whereas others might want to collect them and keep them in a terrarium so they can be observed in something resembling their natural setting. Others still might just want to keep a few as pets. Whatever the reason, having a good non-lethal and harmless way of catching insects can be beneficial for many people. 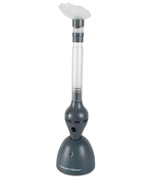 The Nature Bound NB508 Bug Catcher Vacuum is a great way to capture insects of many types in a safe manner for the user that is also not harmful to the captured insects. This bug vacuum resembles the shape of a gun, making it quite easy for anyone to hold and point at whichever insect they want to catch. 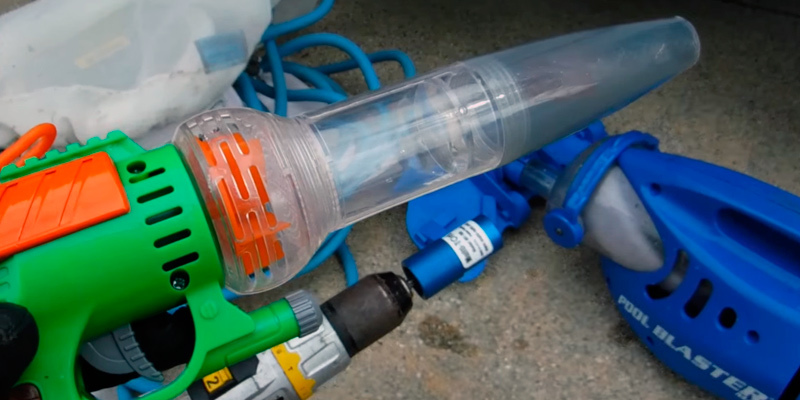 The extended nozzle can be pointed close to an insect, and then the pull of the trigger will operate the vacuum, using the suctioning power to catch and hold the insect inside the tube. 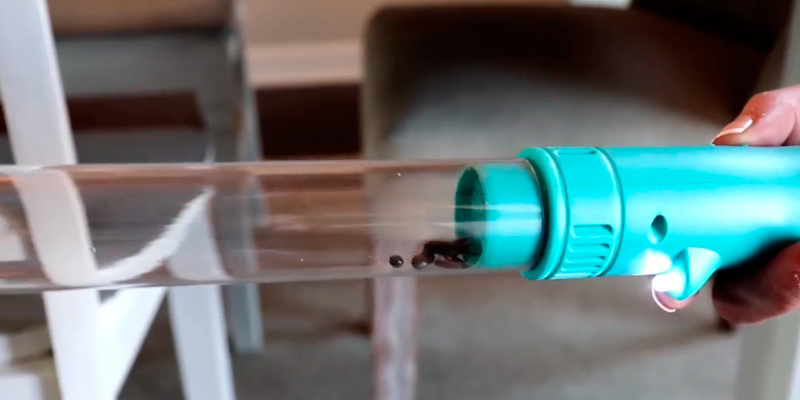 The tube, while not incredibly long, lets you capture the insect at a safe enough distance to prevent any possible bites or stings. Unlike the other bug vacuums that have been reviewed here, this particular model is made more for the study of bugs than for removal, and this is shown by the various features and accessories included in the kit. 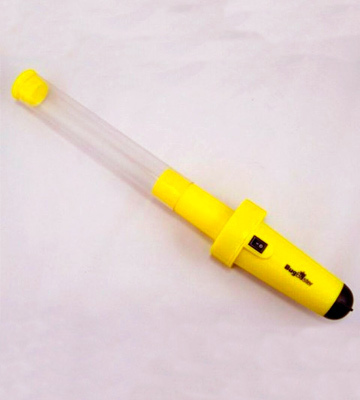 The bug vacuum includes a magnifier that lets you take a closer look at whichever insect is captured inside the tube, which is great for children who are curious about the details of insects. 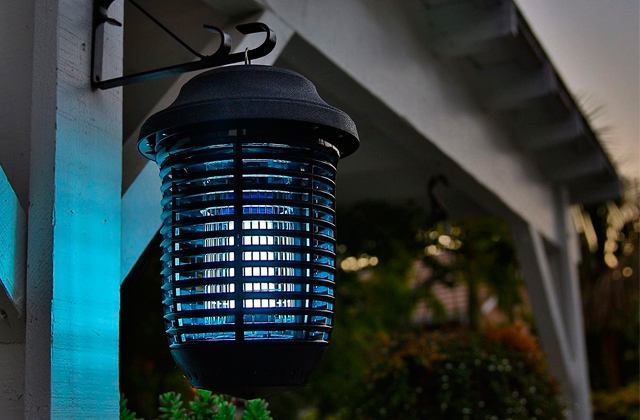 The vacuum also includes an LED light that makes it easy for finding and capturing insects in the dark, something that is missing from most other models. 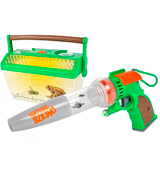 Along with the bug vacuum gun, the kit includes a terrarium that is perfect for holding insects that are caught, and is large enough to allow for someone to put together an environment inside that is similar to the insect's natural habitat. The top includes airholes that are large enough to allow sufficient air inside, yet small enough to where even the smallest insects won't escape. A magnifier is also built into the lid of the terrarium, allowing for close examination of the occupants without having to remove them. All in all, this great little bug vacuum and terrarium kit is a great way for both children and adults alike to explore the world of insects in the safety and comfort of your home. To the surprise of some people, it turns out there are quite a few different options on the market for bug vacuums. 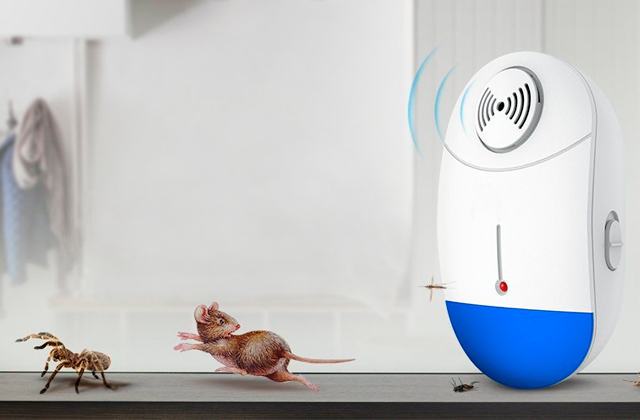 Some are battery-operated, whereas some others use mechanical methods of creating suction, but what all of them have in common is that they are often ineffective at capturing the little critters that are found in your home. What's more, the ones that are battery-operated tend to go through batteries pretty quickly, which adds extra expense on top of what you already paid for the bug vacuum. Some of them may support an AC adapter, but what good is a bug vacuum that is tied down to a power outlet? Needless to say, not very good. The Ohuhu Y11-85000-05 Bug Catcher Vacuum is the perfect solution to those who want a powerful yet convenient and easy-to-use bug vacuum. This bug vacuum is powered by an internal battery that can be easily recharged whenever it is not in use. The device can be plugged into any USB phone charger that uses a Micro USB connector, and it can charge up to full power after using it to catch any insects you find inside your house. This means you won't have to worry about replacing batteries after a few uses, or needing to tie it down to a power outlet, giving this spider vacuum plenty of flexibility in its use. 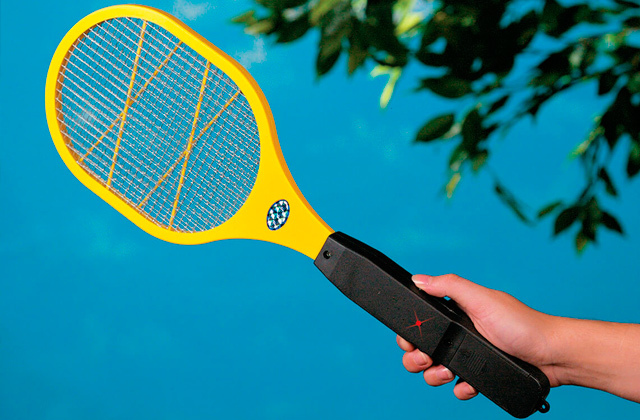 Many bug catchers are made specifically for those who want to catch and dispose of insects, whether they be alive or dead, and some that are advertised as non-lethal often prove to be anything but. That isn't the case with this model. 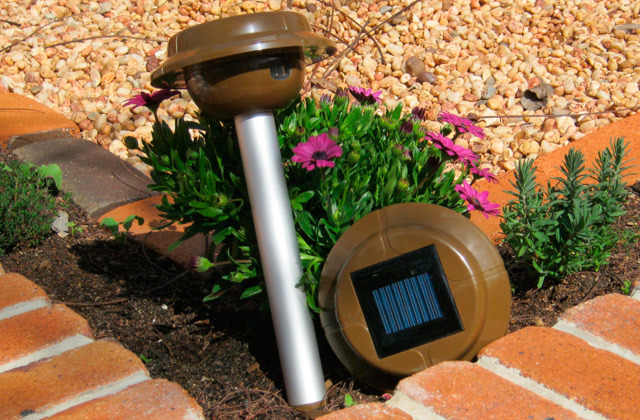 The device is shaped like a wand, giving you an easy way to point and capture any insects, and it captures everything in a non-lethal manner. Inside is a small mesh that helps protect the captured insects from getting caught up in the suctioning motor, ensuring that they stay alive even while the vacuum is in operation. There is also a tube cover included that lets you keep in whatever is captured when the motor isn't running, ensuring they don't escape before you can take them outside. Please note, though, that the tube cover doesn't allow air in, so you will need to release them quickly if you don't want the captured insects to die. 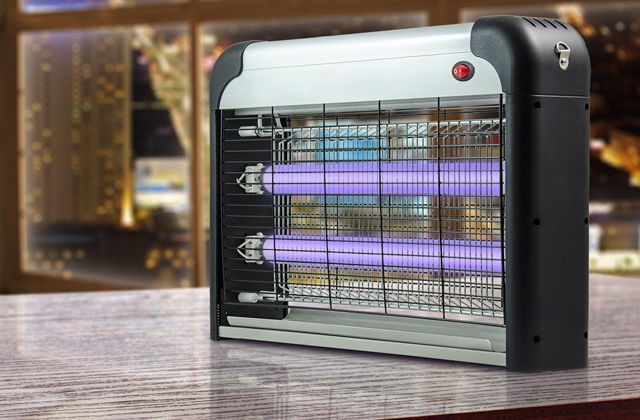 On top of these features, this bug vacuum includes a built-in LED light that lets you easily find and capture insects in dark places, which proves to be quite handy for insects who like to hide in the dark. 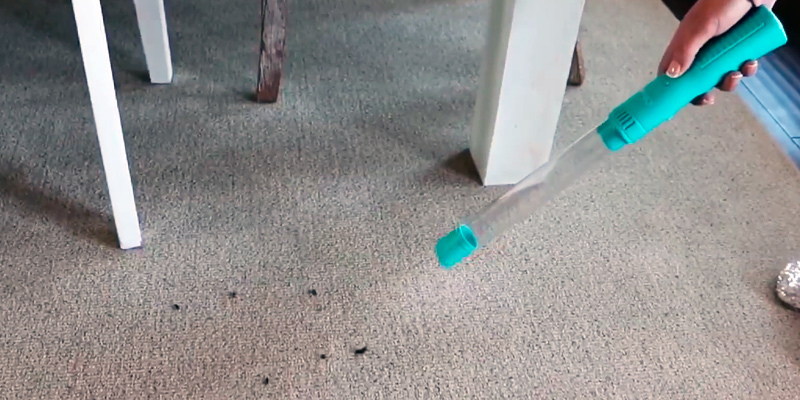 All told, this simple and effective bug vacuum provides a great means for the safe capture and humane treatment of insects, and is sure to be fun to use for the whole family. What Is a Bug Vacuum? Insects are a part of the natural world, no matter where you live, and sooner or later some of them tend to end up in your home. It's a common problem for virtually every person who has ever lived, and a number of remedies for removing them have existed for many years. Although calling the exterminator can help keep them out of your house, there is the huge downside of the expense involved, as well as your home often left smelling bad, with the potential of the insecticides being dangerous to your pets. Of course, even if your house is sprayed, there is always bound to be a few bugs that will find their way into your home. A bug vacuum is a great solution for removing stray insects that are found inside your home. It is a much better solution than squashing or catching with your hands for a variety of reasons. First, many insects tend to be difficult to catch with your hands, and even so, some of them can either hurt you or bite with infectious results. This is especially true with poisonous spiders, which should never be handled with your bare hands. Also, squashing bugs or using a fly swatter on them can often leave a mess wherever you found them, with it often being difficult to clean up completely, A bug vacuum removes the need for squashing insects by providing a way to quickly capture and dispose of them. Speaking of messes that are hard to clean up, often bugs that are attracted to light will often fly full speed into windows and lamps, leaving a mess behind. If you need a good cleaning tool for such messes, take a look at some top notch squeegees. Bug vacuums may seem like fairly simple devices at first, and in many ways they are, but there are still a number of things to look for when trying to find the best bug vacuum for your needs. Many of the different models of bug vacuums have various characteristics that you will need to be aware of in order to ensure you find the right one. Paying careful attention to these characteristics will go a long way towards showing you which models will suit your purposes the best. 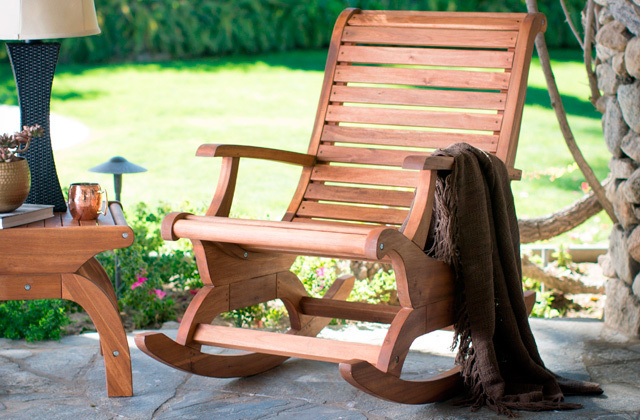 Below are some of the most important characteristics to look for in any bug vacuum. One of the most important aspects of any bug vacuum is the types of insects it combats. If you're looking for a bug vacuum to get rid of large spiders, then one that is made mainly for much smaller insects will hardly be ideal. If there are specific types of insects that you need to remove from your home, then make sure that the model you choose is able to safely and effectively remove them. Another important factor for any bug vacuum is the power source. Many bug vacuums are made to run from batteries, which is actually ideal in many cases as you won't have to deal with a wire hindering your movements with it. However, many bug vacuums do go through batteries pretty quickly, and in these cases, being able to plug in an AC adapter might be helpful. If the latter option is something you think you will need, then make sure that the model you choose either comes with an AC adapter, or at least supports one. The extras that are included with any bug vacuum can be a very important factor in choosing the right model. 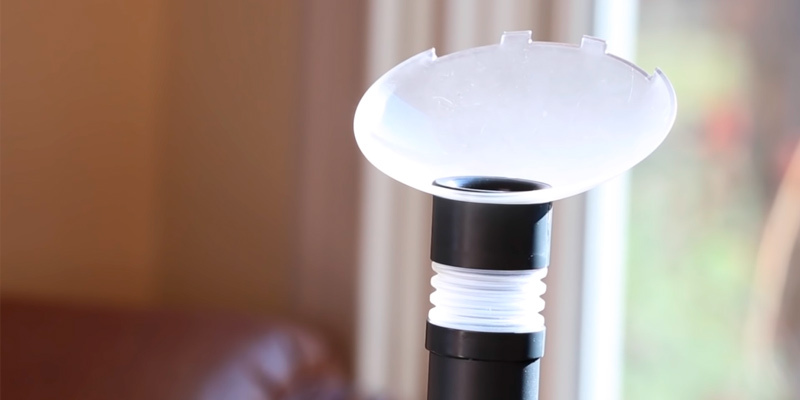 Many of the helpful features and extras that bug vacuums may have are such things as extendable nozzles that help you reach bugs in hard-to-reach areas, a catch tube or insect carrier to hold the insects caught by the vacuum, and even built-in LED lights that can help you see better in dark areas. Many of the different models will have a wide variety of features, so pay attention to these when looking for the model that you need. One last characteristic that many people may want to consider in regards to a bug vacuum is how humane it is. Many bug vacuums are made simply to catch and kill insects, whereas others are made with a more humane purpose in mind, such as letting you catch the bugs without harming them so you can release them outside. If you prefer a bug vacuum that was made for more humane usage, then make sure the model you choose is built for this purpose. Bug vacuums can be a great way of removing random insects that are found inside the home, but sometimes people may want some other solutions for preventing them from getting inside in the first place. In such cases, many people may first think of calling an exterminator, but this can be a bad idea for several reasons. First of all, exterminators can be expensive, and second, they often use chemicals that can be harmful to both people and pets. If you have problems with certain types of insects and want to find a good way to keep them out of your house without resorting to harmful pesticides and bug sprays, then read on for some great suggestions for keeping your home insect-free. The most important thing to do to keep insects out of your home is to not give them a reason to come inside in the first place. The best way to do this is keep your home clean at all times. Built up dirt and crud of all kinds tends to attract many types of insects, especially roaches, and removing such insects from your home can prove to be difficult, no matter the method used. Keeping your floors, cabinets, and all other places clean of dirt and crud will prevent your home from attracting most types of insects. Do you have a problem with ants coming into your home? If so, get some lemon juice and pour some small amounts in the areas where ants tend to come in, such as around doorways, crevices, and even cracks around pipes and drains. Ants are repelled by the smell of lemon juice, so this will serve as a handy deterrent. If you're not fond of the smell of lemon juice yourself, cinnamon and peppermint have also proven to be ant-deterrents, and they may help make your home smell nice as well. If you like keeping fruit in your house for a tasty and healthy snack, odds are that you've had to deal with fruit flies from time to time. If you want to find a way to keep them from ever coming in, the solution is relatively simple. Don't let fruit go bad! When fruit is starting to get old, that's when the smell starts attracting fruit flies. If any of your fruit has been hanging around for a bit too long, disposing of it ASAP should help keep it from attracting fruit flies. Are there a lot of stink bugs in your area that like to make their way into your home and stink it up when they die? Putting a little dish soap out helps to repel stink bugs. Just keep it out of the way of pets and small children, as dish soap isn't the safest chemical to leave around. Gnats are not a common problem inside of most homes, but if you find that an army of them has taken up residence uninvited, then there is probably a problem with moisture in your house. The same also applies to mosquitoes, which love standing water. If you have either of them in your house, then the best way to get rid of them is to remove standing water. This especially applies to bathrooms and kitchens, which are the two places in the house that are most like to attract either type of insect. Keeping moist objects locked away and removing any standing water will help keep these two pests out of your home.